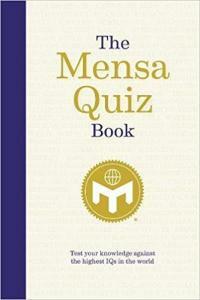 A complete pub quiz of 6 rounds, each of 10 questions (plus multiple-choice sheet) - for £2.00. 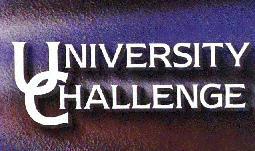 Pub quiz of 6 rounds, each of 10 questions - plus multiple-choice sheet - for £2.00. A package consists of eight quizzes, each of 25 questions. 200 questions in all, for £4. These quizzes were drawn up with a British audience in mind. 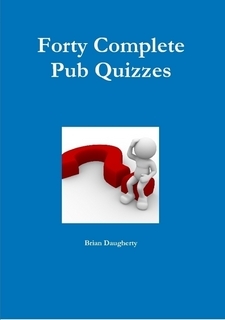 A complete pub quiz of 6 rounds, each of 10 questions - for £2.00. Anne Robinson: Which 'G' was an Indian who was given the title Mahatma ? Phil Wood (Greater Manchester Radio): Which famous classical composer went deaf? Anne Robinson: Which actress was married to Humphrey Bogart, and is the cousin of former Israeli prime minister Shimon Peres ? Radio London Announcer: Which chemical element has the symbol K ? Channel 5 presenter: Which literary hunchback lived in Notre Dame and fell in love with Esmeralda ? Contestant: Oh, er, it rings a bell.. but no, can't think of it. Anne Robinson: In the English monarchy, what was the name of the Royal house that succeeded the Tudors? Billy Butler (Radio Merseyside): What was Hitler's first name? Chuck Thomas: Can you give me an occupation beginning with 'S'? Anne Robinson: In Germany, the Burgermeister runs what: the local town hall or the local fast food outlet? Contestant: The local fast food outlet. Anne Robinson: What is the capital of Germany? John Humphrys: Which breakfast cereal is slang for a period of imprisonment? Anne Robinson: Which humorous poet is famous for such poems as "Oh! I Wish I'd Looked After Me Teeth" and "They Should Have Asked My Husband" ? GMR Radio Announcer: Which English Queen is the cocktail "Bloody Mary" named after ? Magic 1152 Radio Announcer: Who said 'Kiss Me Hardy'? Contestant: Was it Stan Laurel? Anne Robinson: In government organizations, what does the letter M stand for in M.I.5 and M.I.6? Anne Robinson: What G was the complex knot severed by Alexander the Great in the fourth century BC? Anne Robinson: He was known as the King of the Cowboys. He was Roy who? Noel Edmonds: In which city was the philanthropist Dr Barnado born? Nicholas Parsons: What is it that people who live in glass houses shouldn't do? David Letterman: What does Magna Carta mean in English? David Letterman: Who composed Rule Britannia? Anne Robinson: What word, beginning with the letter 'O', specifically refers to a person between 80 and 89 years of age? Worcester College Students: Virginia Woolf Paxman: That's nothing like Virginia Woolf. No, it's Vanessa Bell. Jason Mohammad: What town am I describing : it lies on the island of Anglesey, on the Menai Straits and the French builders of the castle referred to the area as 'beaux marais'? Jason Mohammad: Where in Wales? - your first clue : the Welsh National Surfing Championships are regularly held here over the first Bank Holiday weekend in May? Bradley Walsh: Which barrier did Chuck Yeager break flying the Bell X-1 aircraft in 1947? Which European country still drives on the left? Which team did Liverpool beat to win the European Cup in 1977? Whose ship was the 'Jolly Roger'? What did Walter Raleigh bring back from America? What was Hitler's first name? Ben Shepard (Celebrity Tipping Point): What foodstuff is often grown in a paddy field? Second Contestant: Well, I'm sure he's got that wrong. Crick and Watson are a comedy act. Andi Peters: The film American Beauty is named after a variety of which type of flower?